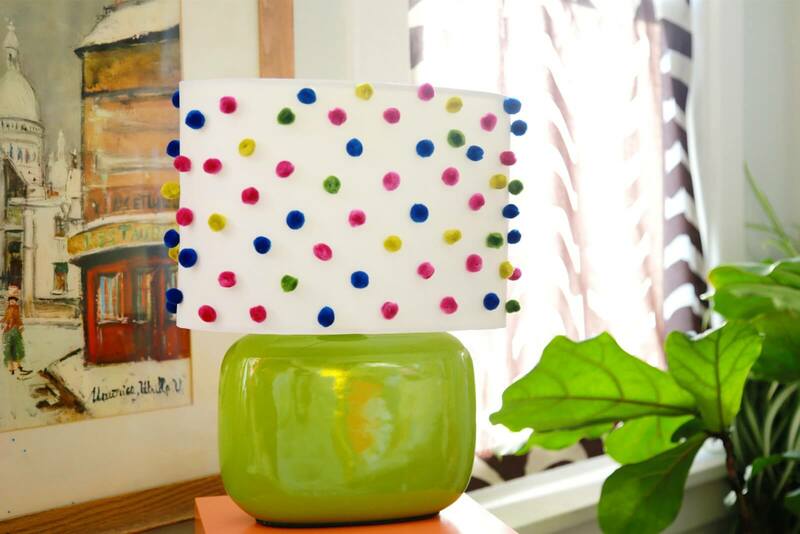 Do you have a boring lampshade in need of an easy makeover? 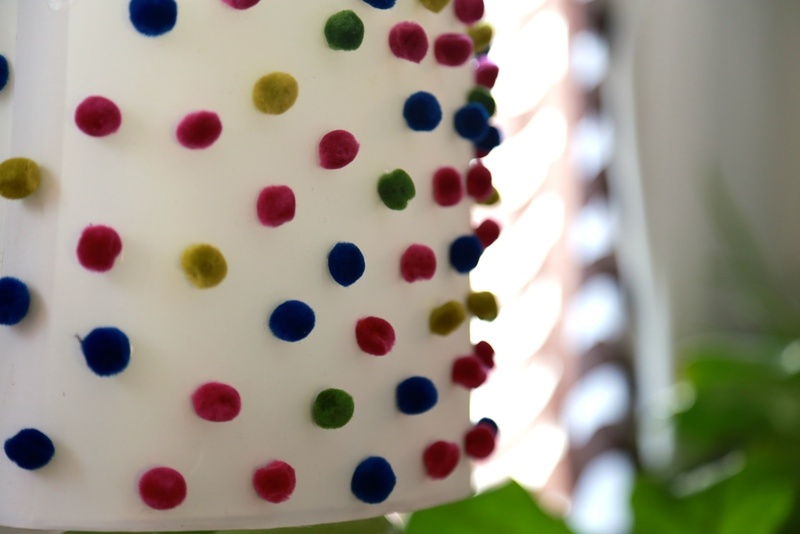 This high impact DIY could not be faster or easier! 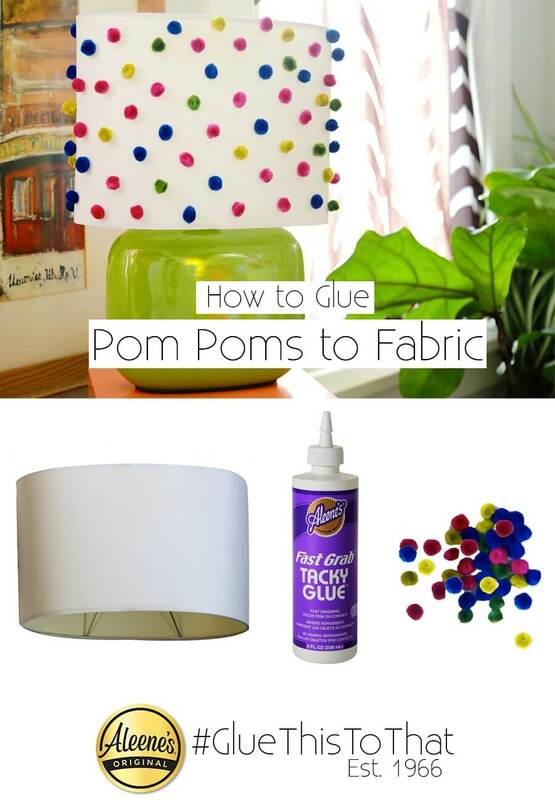 The key ingredient is Fast Grab Tacky Glue and the results will leave your room feeling newly refreshed and all kinds of whimsical. Let’s the started! Ready for a fast craft with major impact? 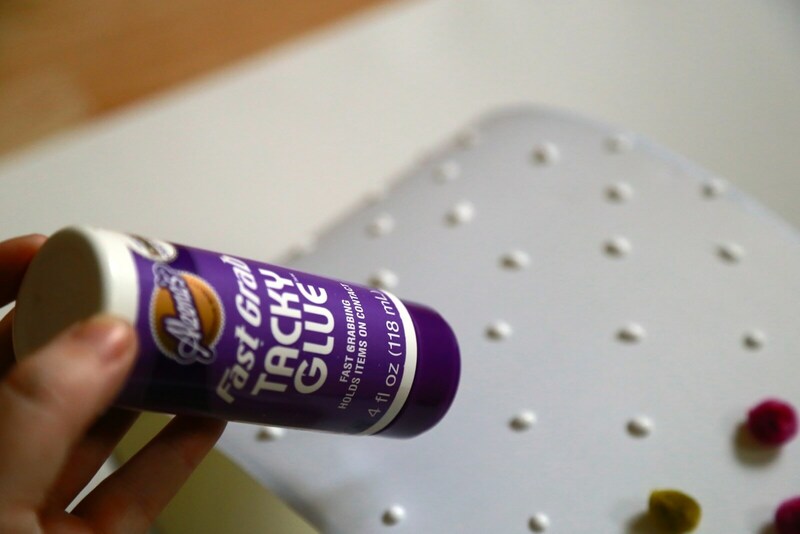 Start with Fast Grab Tacky Glue. It’s extra thick and holds lightweight objects like nobody’s business! 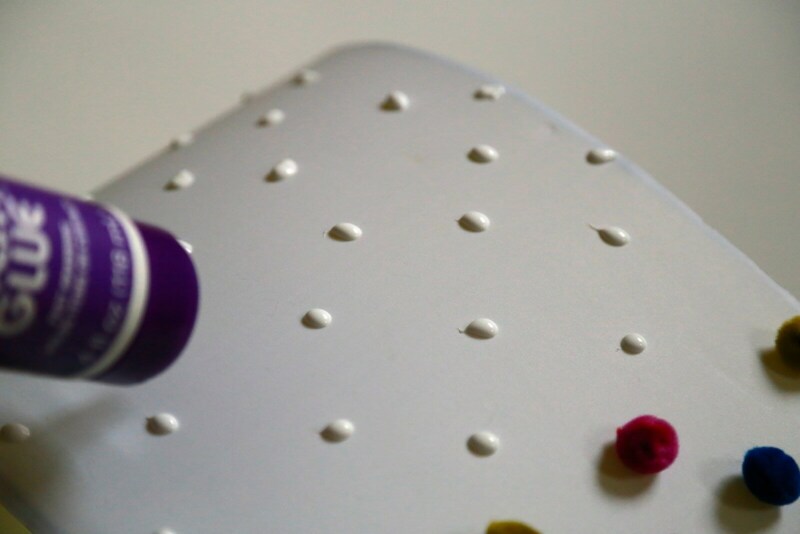 Start by dotting the surface of the lampshade, keeping your dots roughly evenly spaced, but not too perfect. 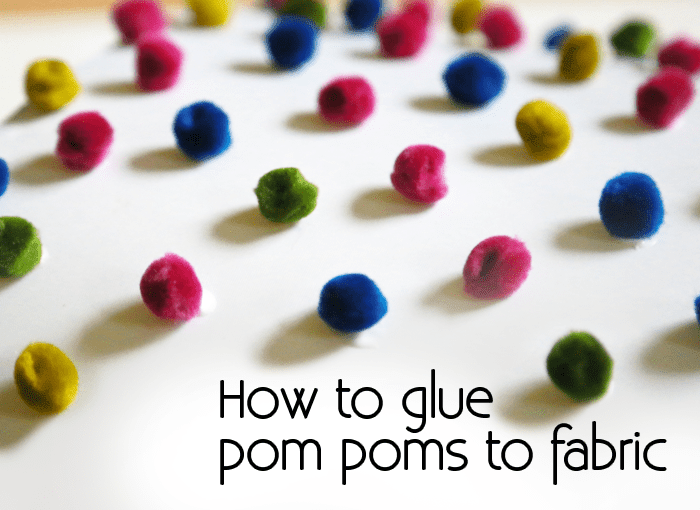 Add small pompoms and allow to dry. Notice how the Fast Grab holds the pompoms vertically even when wet? Pretty cool! Now set your lampshade back on the base and get ready to light up the night. 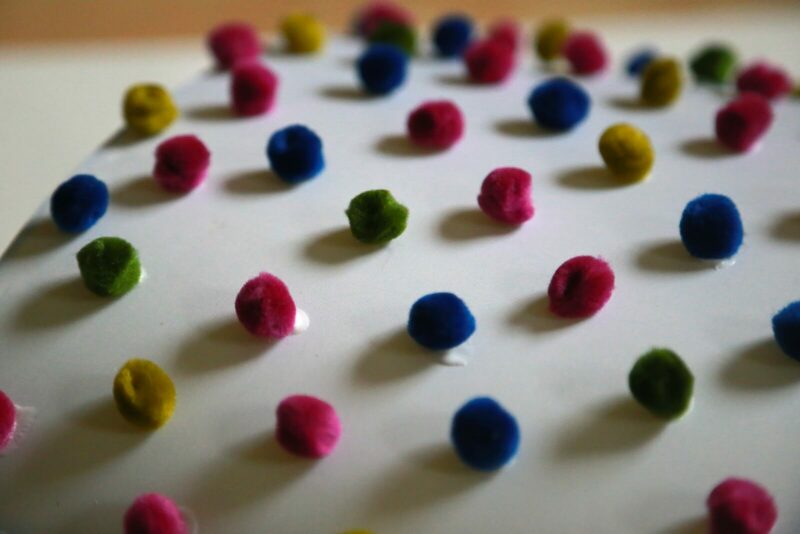 Pompom style! If you love this project, here's a fun pinnable graphic to add to your Pinterest page!